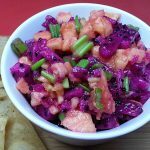 Dragon Fruit Salsa Recipe – Pretty and Delicious! 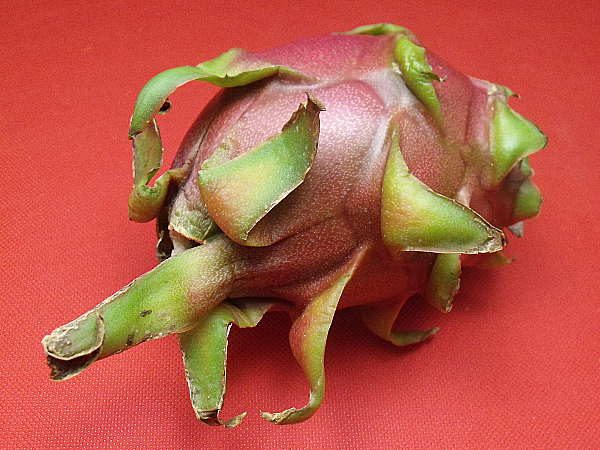 Mmm … dragon fruit! 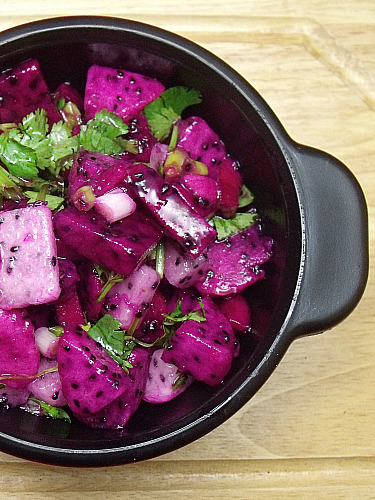 This fruit is tasty all by itself, but it really shines in this dragon fruit salsa recipe. 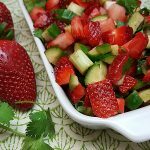 The simple recipe only has a few ingredients, so it is easy to put together quickly. This fruit is absolutely delicious and has a unique look inside and out. The texture of the fruit and seeds reminds me of kiwi, but the taste of this tropical fruit is one of a kind. 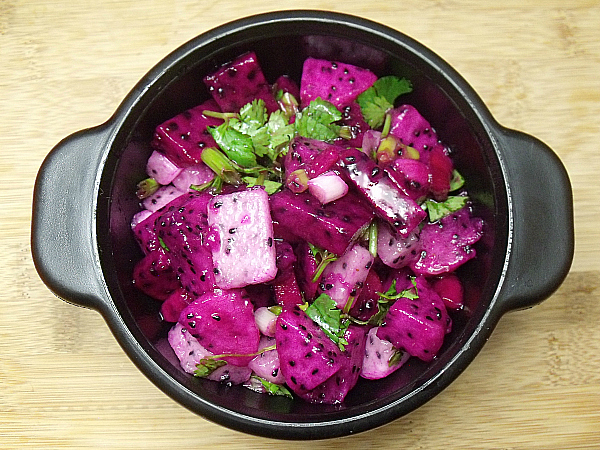 Dragon fruit is also known as pitaya. I prefer the purple version of the fruit, but there is also white dragon fruit. 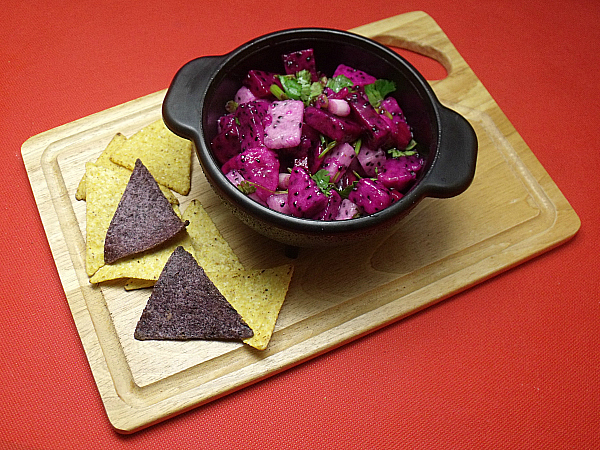 The salsa tastes amazing and I love the way it looks. 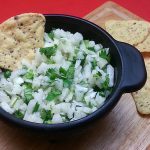 It’s easy to make for a quick snack, and is also pretty enough to serve as a fun appetizer for a game day party. Combine all ingredients and mix gently. 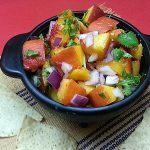 Check out my other vegetarian recipes, so you can get more kitchen inspiration.